I've mentioned previously the wide-ranging and intense theological debate raging on within Messianic Judaism (MJ) concerning MJ identity, its relationship with the Church and the extent to which Messianic believers ought to be integrated into a church or Torah-observant MJ synagogue. Richard Harvey's book mentioned in that post has gone some way to mapping out the various expressions of MJ. For those of you seeking to understand this volatile debate on ecclesiology and how it has fragmented the MJ movement, the Rosh Pina Project is a website where issues such as this, of immense importance to MJ, are debated. There, a post recently sought to highlight a possible link between Mark Kinzer and Jesuit spirituality. 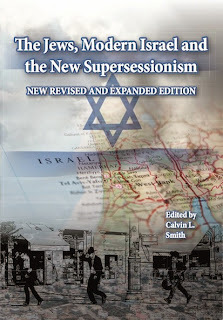 Mark Kinzer is author of Post-Missionary Messianic Judaism, a book which has caused considerable debate within the movement concerning its ecclesiology, and who belongs to the Torah-observant wing of MJ. Within this branch of the movement are some who not only declare Messianic believers must fully observe the Mosaic Law, but also the ideal for them is to congregate in a wholly Jewish setting in order to retain their Jewish identity, rather than attend Evangelical congregations where their Jewish identity as believers in Yeshua threatens to be diluted. Many Evangelical believers, both Gentile and Jewish, are uneasy with the ramifications of such a bilateral ecclesiology. The link to the post on Mark Kinzer and Jesuit spirituality can be found here. But what I found particularly interesting was the debate carried on in the comments section afterwards. It becomes immediately clear how intense and passionate the current debate concerning ecclesiology and identity within MJ actually is. The blog you are giving attention to (Rosh Pina) engages in some rather mean-spirited attacks. They have a more recent post insinuating that a scholar's early days in Catholicism should discredit anything he has to say in the present. Are you sure you want to put your reputation in with these people? Yes, I am one who spoke up in the comments and cried foul on the comparison between Mark Kinzer's book and liberation theology. The comparison is based on almost no connection (you could equally say the gospel Jesus preached is liberation theology and find some points of comparison). As stated, my post simply seeks to draw attention to several debates within MJ I've mentioned elsewhere, which many Evangelicals are unaware of. I'd be happy to include a link to your site if you like. With the greatest respect, however, the bit about my reputation was itself just a tiny bit mean-spirited, don't you think? I'm hardly "putting my reputation in" with anyone simply by drawing attention to the comments in response to a blog. This was the thrust of my post (see last para): to highlight some of the bitter arguments taking place in MJ. Neither yourself nor Mark Kinzer have a monopoly on Messianic Jewish identity. My point of view is strongly represented within the Messianic movement, yet I appreciate there are other positions, which is why we have a free and open comments section. That was what Calvin was drawing attention to. You are, as ever, welcome to join in, however I hope you will not be asking me to take down blog posts and accusing me of not knowing anything about theology, as you have been done before. May I also contrast the attitudes of two Gentile commenters on Messianic Judaism: whereas Calvin is comfortable with his Gentile identity and accepts various forms of Messianic Jewish identity, Derek seems to reject his Gentile identity to be a pretend rabbi, and then exclude genuine forms of Messianic Jewish identity such as my own. In case readers don't realize it, let me point out you are one of the anonymous Rosh Pina bloggers. I said that in my opinion you engage in mean-spirited attacks. Do I need more evidence than your last comment saying I am a pretend rabbi and insecure with my birth as a non-Jew? Clearly, there is previous history between you both. Not knowing anything about it, I wondered if it primarily an issue of style or substance? If the latter, what is the main theological disagreement? I am the other anonymous RPP blogger, call me Gev or Bob or whatever you want, makes no odds. Now Derek is shifting the issue by insinuating that somehow being anonymous is an issue in and of itself! We at RPP are on the wing of the Messianic Movement that rejects the conversion of Gentiles to Messianic Judaism as unbiblical and uneccesary. Derek is on the other wing and in the process of such a conversion, Yeze objects that if Derek 'converts' he will consider himself more Jewish than Messianic Jews that attend both Messianic and Evangelical places of worship and are not Torah Observant. Hence the heat of the discuss, it is very personal to both Derek and Yeze, not just abstract ideas that are being discussed. Thanks. But I thought Derek espoused a bilateral ecclesiology, that is, separate Gentile and Jewish congregations, allowing each to retain their respective identities in Christ. Yet as I understood your comment, you are saying he wants Gentiles to convert to MJ. Or have I misunderstood you? Derek, would love to hear it from the horse's mouth, as it were. Calvin - Interestingly, whilst this bilateral ecclesiology came from Kinzer, the President of the UMJC, Derek Leman is undergoing a conversion to become a Jew, and then a conversion to become a rabbi, with the UMJC under the tutelage of Carl Kinbar - the UMJC provost & second-in-command to Kinzer. So why do Kinzer, Leman and Kinbar speak of a bilateral ecclesiology on the one hand, and then encourage Gentile conversions on the other? This really doesn't make much sense. Yeze... what's the uproar about? You yourself, although your family originally came from a Jewish background, converted to a Gentile expression of Yeshua faith (Christian Evangelicalism) and today readily identify yourself a Christian (you've stated that on numerous occasions), including celebration of Christmas etc with your family, while Derek, though born a Gentile, now wants to convert to a Jewish expression of faith with everything that entails. Derek himself will tell you that he is not pursuing his conversion to supplement his salvation (which is another baseless accusation on your part, misusing the Galatians). I know that he, and this is part of bilateral ecclesiology, believes that Gentiles are saved without either prerequisite of circumcision or obedience to the Mosaic Law. Gene, you to were in an evangelical church in your early days were you not, do you not think they played a part in your faith? What is the point of Gentile conversion, to what? The uproar is that Gentile 'conversion' is making a mockery of the Messianic movement and bringing it into disrepute in both the Jewish and Christian world. TOM-J's (Torah observant Messianic Jews)now sit in self-pious judgement on other Messianic Jews, whom they sneer at as evangelicals and seek to disqualify as Messianic Jews because not all Messianic Jews by a long shot feel obligated to Torah because the Torah now keeps us all in the perfect life of Yeshua. Yeze 'converted' to Yeshua, he attends and is active in a Messianic community and is also happy to share fellowship with Gentile followers of Yeshua, he will never stop being Jewish no matter your snide inuendo about Christmas, the birthday of the most famous Jew who ever lived! Gentile conversion to a stream of Messianic Judaism will not be accepted by most Messianic Jews around the world, it is a distraction at best. "Gene, you to were in an evangelical church in your early days were you not, do you not think they played a part in your faith?" Gev, certainly. And I still have a wonderful, enriching and fulfilling time whenever I fellowship with non-Jewish Evangelical believers. Do you see me making qualitative judgments about Evangelicalism? "TOM-J's (Torah observant Messianic Jews)now sit in self-pious judgement on other Messianic Jews, whom they sneer at as evangelicals and seek to disqualify as Messianic Jews..."
Gev, quite the oppose it the case. The fact is, I would say that it is the Hebrew Christians / Jewish Evangelicals, those who are having a hard time breaking away from the comfortable "mothership", who are making the harshest pronouncements and accusations about covenant-faithful Jews, trashing the reputation of many fine, pioneering Jewish leaders. Never before have I witnessed such vicious, slanderous attacks coming from Messianic JEWISH blogs (those who I would consider a covenantally-minded) towards Jewish Evangelicals and especially JE leaders. "Gentile 'conversion' is making a mockery of the Messianic movement and bringing it into disrepute in both the Jewish and Christian world." Please. You've blown this way, WAY out of proportion. You've come across a minority opinion of one MJ organization and this has given you the ammunition to launch a new attack to discredit traditional MJs. There are many things that bring "disrepute" in Messianic Jewish world, but the conversion controversy (conversion for non-salvation reasons, mind you!) is the least of it by far. Gene, it doesn't matter if it's a minority opinion or not. What matters is the fact that the leaders of Torah-observant Messianic Judaism are the same ones promoting Gentile conversions - there is simply no need for this. It is deceptive and offensive. It is Gentile converts to "Messianic Judaism" who have caused the outrage, we've simply commented on this strange phenomenon which seems to veer dangerously close to the Galatian heresy. Whether you think of it as a salvation issue or not, you clearly think Torah-observant Gentile "converts" are more Jewish than people whom God created Jewish - an idea so offensive to New Testament theology that I hardly know where to begin. "Gene, it doesn't matter if it's a minority opinion or not." So, by the same token, if the majority's opinion matters not, for you to be consitant you should also condemn ALL of the Evangelical leadership because SOME of them happen to be supersessionist in their theology. Right? "there is simply no need for this"
Personally, I agree with the above we don't need this. But of course there are some people out there who do see the need. You don't have to accept it but you are wrong to reject everything wholesale as you've done. If we all rejected everyone like that because we disagree with some non-essentials, we'd all be in big trouble. "It is deceptive and offensive. " How is it so? You may not agree with it, but it's certainly not done in the dark (it's not done much at all to begin with! ), but what about it is offensive to you? Mainstream Judaism doesn't see converts as offensive. "seems to veer dangerously close to the Galatian heresy." It's not - I've found that it is not even close to Galatianism. I do not support conversions within MJ, but not for some supposed heresy reasons. "you clearly think Torah-observant Gentile "converts" are more Jewish than people whom God created Jewish"
I believe no such thing - and it's offensive tome you'd say that (clearly?). If anything, I believe that historically converts to Judaism became Jewish "proselytes", a status that carried various limitations. Biblically speaking, most of them continued to be identified by their ethnic origins (Ruth the Moabite, Caleb the Kenizzite, Uriah the Hittite), and not magically turned into Hebrews/Israelites. However, even you must agree that there are some born Jews who do not deserve the moniker they carry, right? (Romans 2:28).